Today, Sony introduced the new Sony RX10 III (DSC-RX10M3) camera. It features a newly-developed extended 25x super-telephoto zoom lens having a focal range of 24-600mm. 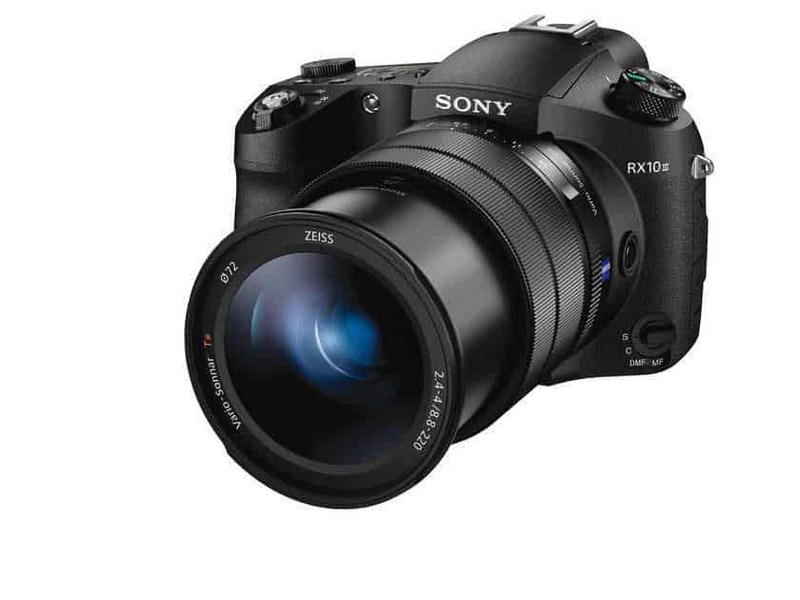 The new RX10 III is made for videographers who often shoot fast moving, far away subjects. There is a great combination of the 20.1MP 1.0-type stacked sensor, bright zoom lens and BIONZ X processor you can take great shots or even record 4K videos. Along with that, the ultra-telephoto lens with CMOS image sensor, the RX10 III can capture super slow motion videos at up to 1000 fps. That’s not all, the focusing time is just 0.09 seconds, amazing!! the aperture range is also huge- from F2.4-F4.0. But anyway, let’s take a look at the main features of the Sony RX10 III. For macro photogrraphy, you can take the advantage of a minimum focusing distance of 72cm at a fully extended 600mm (0.49x maximum magnification). The RX10 III features a 1.0-type stacked CMOS sensor with DRAM chip which is back-illuminated to allow it to collect light more efficiently. 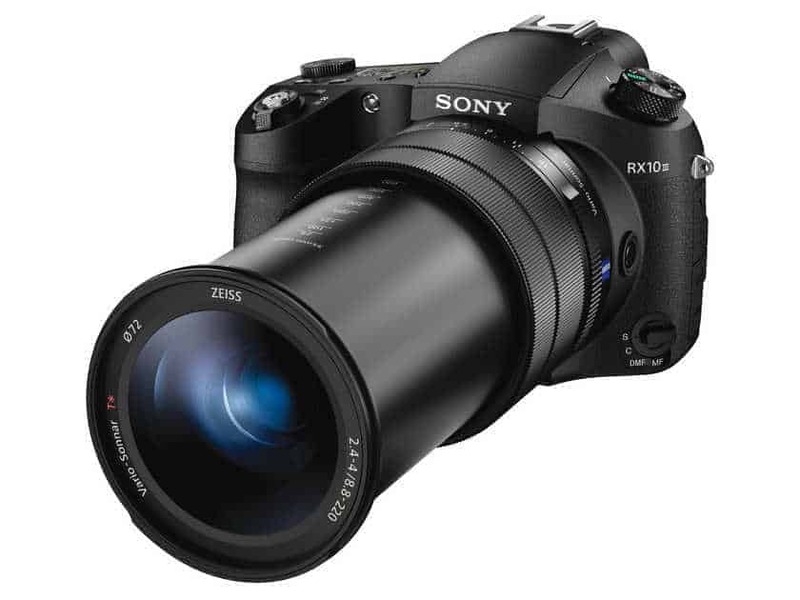 Combined with the BIONZ X image processing engine, the RX10 III achieves a wide sensitivity range of ISO 64 – ISO 12800. The RX10 III records video in 4K quality at a high bit rate in XAVC S format with full pixel readout and no pixel binning. The newly developed lens enables the RX10 III shoot high-quality 4K movies between 24-600mm, along with various functions, including Picture Profile, S-Gamut/S-Log2, Gamma Display Assist, enhanced Zebra function, clean HDMI output, TC/UB, REC Control, Dual REC, and Marker function. To know more about RX10 III, you can check out this YouTube video playlist which highlights key features of the camera. The RX10 III will be available in all Sony center and Alpha Flagship stores across India from April 29th, and will be priced at Rs. 114,990.